All transactions under the new quantum financial system will be recorded via blockchain. The Obama lovers will cry and cry and cry, and I will laugh and laugh and laugh. They are going to have a meltdown. I reckon that they will need support through this. If a national emergency is declared today, it will be the end of the Cabal. This is mainly why there is no rush for POTUS (Trump) to declare a national emergency. The government shutdown is the Earth Alliance's final siege on the Deep State (US Cabal). However... According to sources, the time for negotiations has ended and it is now time to enforce GESARA no matter the cost. The private currency redemption event (RV) may begin at any moment. The world is in a geopolitical standoff as Davos shows. The BRICS side of the Earth Alliance is currently awaiting military agreements from specific countries before proceeding with the transition. NATO, on the other hand is attempting to negotiate for resources prior to releasing sanctions on BRICS. However, the Earth Alliance have the Cabal trapped on all fronts militarily (BRICS), economically (Brexit), and politically (Government Shutdown). The Cabal are under siege and the Earth Alliance is starving them out. Sooner or later, they will be forced to surrender. This geopolitical siege can also be seen in the US with the government shutdown in an attempt to smoke out the US-based Cabalists (Deep State). US Federal Courts will no longer be able to operate normally by February 1st despite a partial government shutdown. Meanwhile, another bill (H.R.204) was introduced recently which relates to GESARA compliance for the US. In other news, the Chinese New Year begins February 5. Also, over 50 rare earth materials have been found in Zimbabwe which is why the nation plays a key role in the transition. This is the biggest transition in human history. There cannot be significant change without significant sacrifice. Best news in 6 years! Do you remember when all the channelings said "soon". The war of attrition on the Cabal continues as the Earth Alliance's siege remains uncontested. All Cabal attempts to break the siege have failed. Attempts such as the coup in Zimbabwe, attacks in Syria and Ukraine, Brexit votes, reopening the US government, and more. The Earth Alliance's main objective is to force the Cabal to surrender through political, economical, and military attrition. Tens of thousands of IRS employees have already been furloughed through RIF (Reduction in Force). Military tribunals on low-level Cabalists (contractors) have already started. Thousands of low-level Cabalists have already been taken to GITMO. If the Earth Alliances fails their main objective, 'Plan B' will be initiated. Plan B will release the RV and announce GESARA through force. 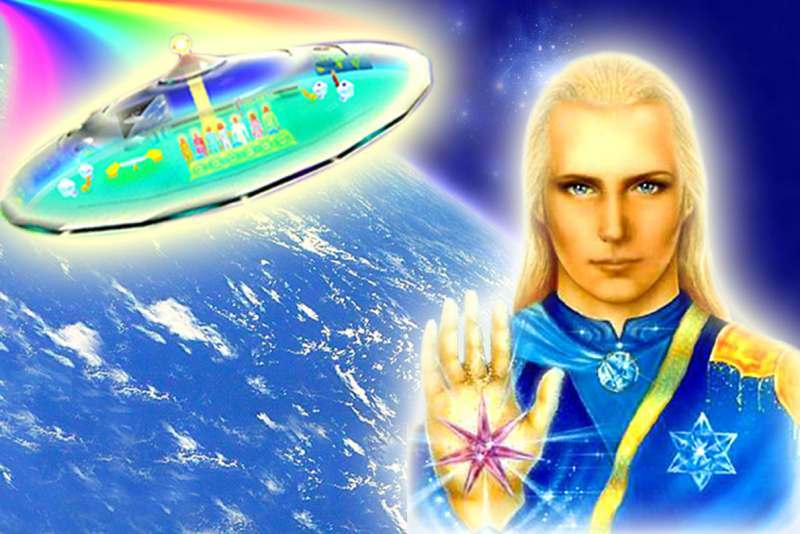 Once the RV begins and GESARA is announced, the Cabal will be wiped off the face of the Earth instantaneously. If Trump declares a national emergency, that means Plan B was initiated. A global transition is occurring which can be seen via global events (Yellow Vest movement, Venezuela uprising, Brexit, US gov. shutdown, etc.). The US government shutdown is a coordinated effort to weaken the Deep State. Brexit, on the other hand is a geopolitical move to relinquish the Cabal's control over the fiat financial system. Israel's playing the 'bad guy' per Earth Alliance demands in order to justify a Israel-Palestine peace agreement. Europe, the Middle East, and Asia have switched over to the BRICS side. The situation in Venezuela is solely about securing strategic resources. U.S. debt is now three times more than the size of the global economy. We are watching the very last geopolitical power struggles prior to the transition. Meanwhile, 47 large container ships from a Russian shipping company have been chartered to transfer apprehended low-level Cabalists to GITMO. The timing of the RV remains dependent on the occurrence of geopolitical events. However, the article below may shed some light on the timing. Once the RV begins, all currency holders will be contacted and will be given private appointments to redeem currencies at selected banks. All of the global geopolitical turmoil is part of one massive operation to condition the sleeping public in accepting GESARA. Zimbabwe will be introducing a 'new currency' within a month. This may or may not shed some light on the timing of the private currency redemption event (RV). Zimbabwe also confirmed that a monetary policy statement will be presented before the end of the month. Truth bombs are set to go off in the US disclosing 9/11, JFK, MLK, and more. Once these truth bombs go off, things may start to get ugly in the US. Meanwhile, sources are currently digging for information about Trump's decision to temporarily end the government shutdown. According to sources, the temporary reopening of the government will allow Trump's judicial appointments to be approved by the Senate. The RIF (Reduction in Force) was a partial "draining of the swamp" specifically targeting the SES (Senior Executive Service). Trump is scheduled to give his State of the Union speech on January 29th or February 5th. February 5th is also the date of the Chinese New Year (Coincidence? No such thing). The UK government is now planning martial law or a shutdown similar to the US after a no-deal Brexit. What you are seeing is the Cabal attempting to maintain their grip over the US and the UK. However, the Cabal have been checkmated on both fronts by the Earth Alliance. Brexit was officially signed by the Queen (under Earth Alliance pressure) and is therefore irreversible. Trump will deliver his State of the Union address despite the Deep State's efforts to delay. Zimbabwe is set to be relieved of Western (US/EU) sanctions. The timing of the RV may now be around Trump's SOTU address and the Chinese New Year.